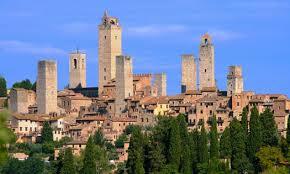 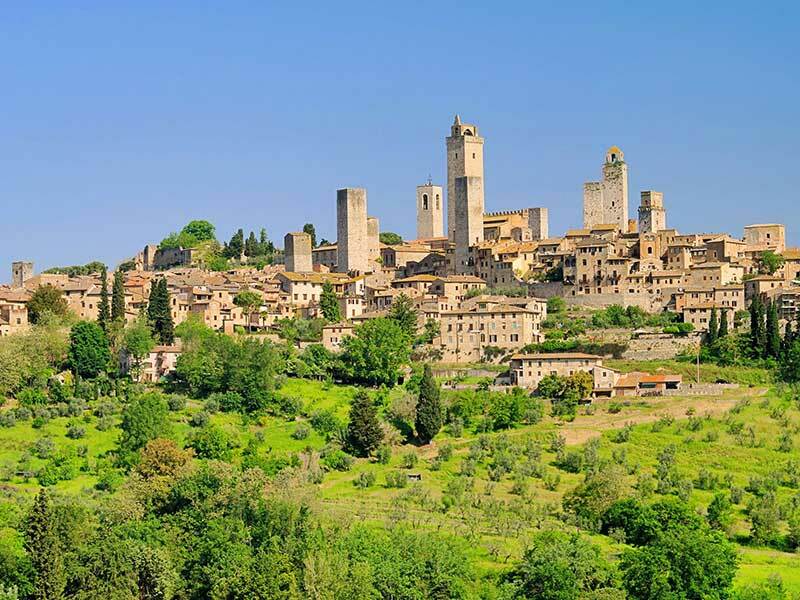 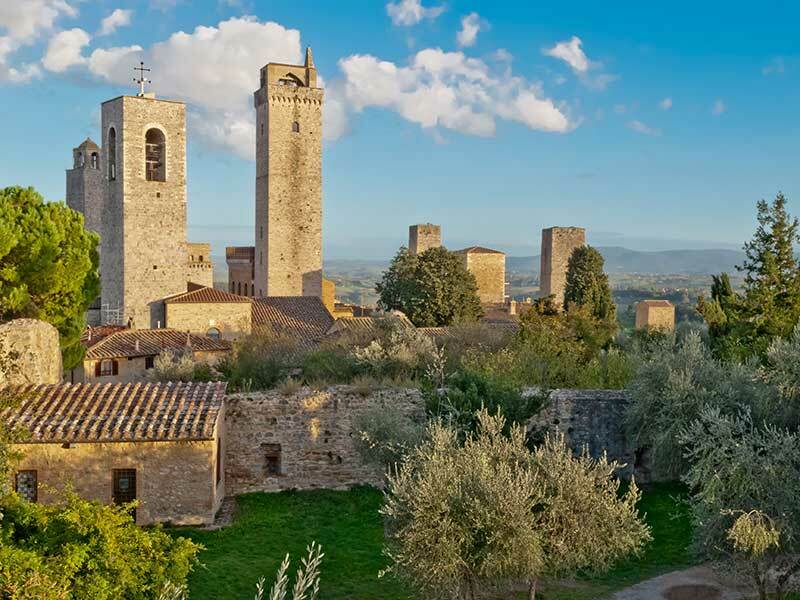 San Gimignano is a small walled medieval hill town in the province of Siena, Tuscany, north-central Italy. 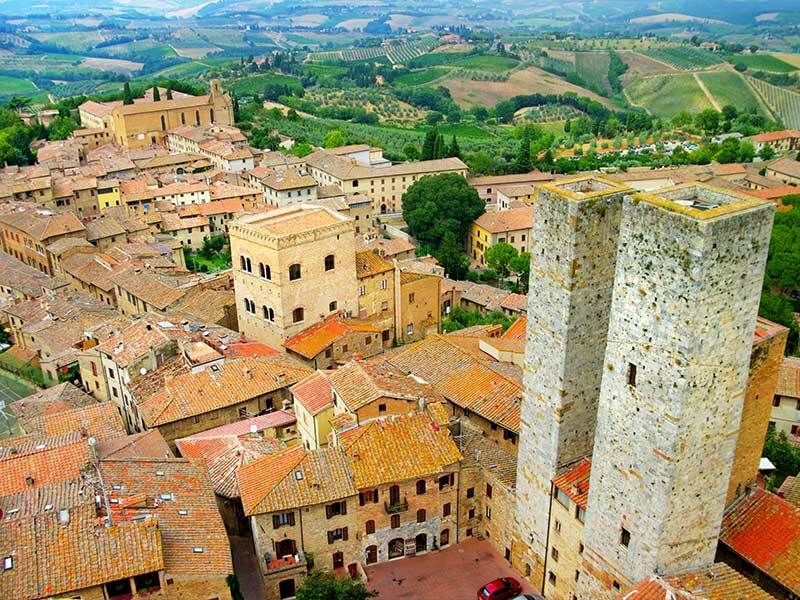 Known as the Town of Fine Towers, San Gimignano is famous for its medieval architecture, unique in the preservation of about a dozen of its tower houses, which, with its hilltop setting and encircling walls form "an unforgettable skyline". 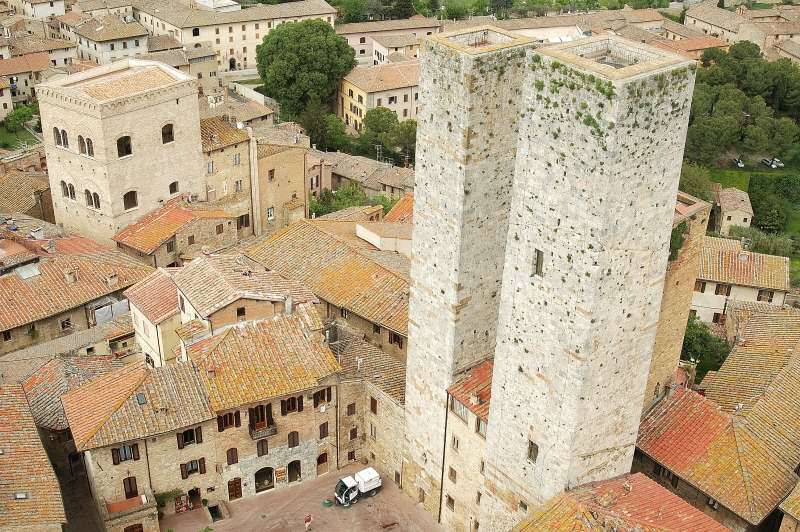 Within the walls, the well-preserved buildings include notable examples of both Romanesque and Gothic architecture, with outstanding examples of secular buildings as well as churches. 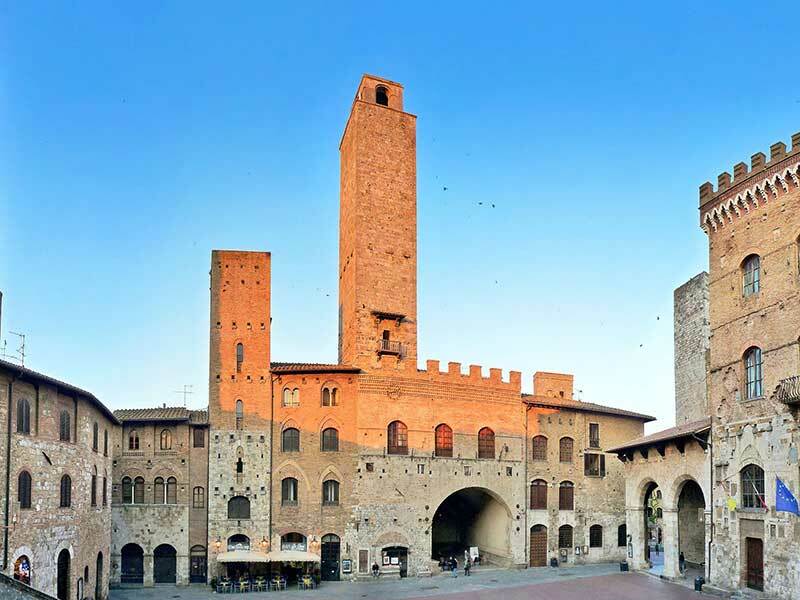 The Palazzo Comunale, the Collegiate Church and Church of Sant' Agostino contain frescos, including cycles dating from the 14th and 15th centuries. 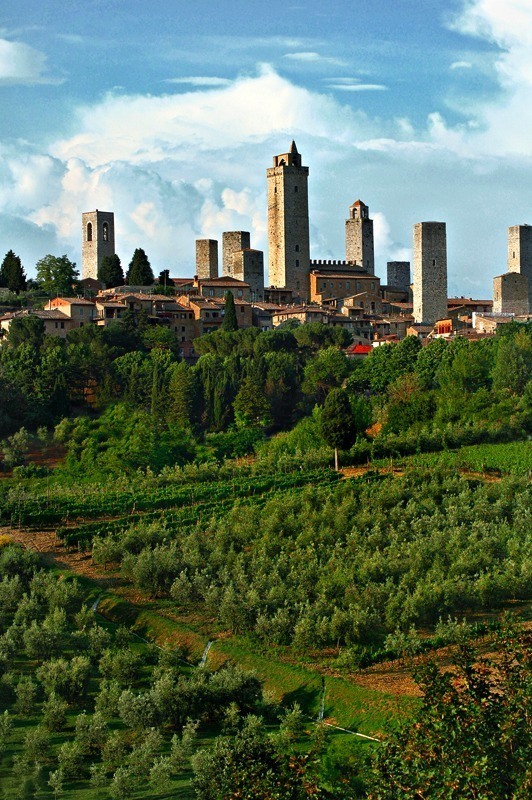 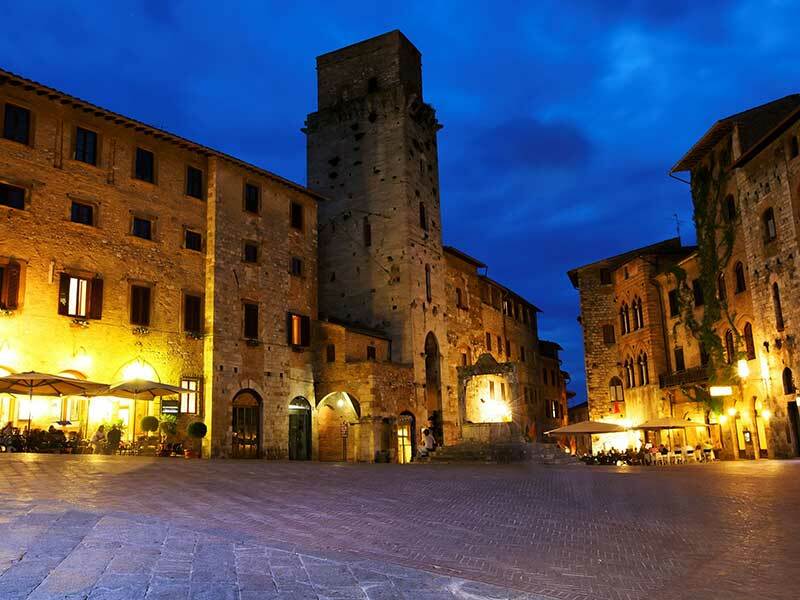 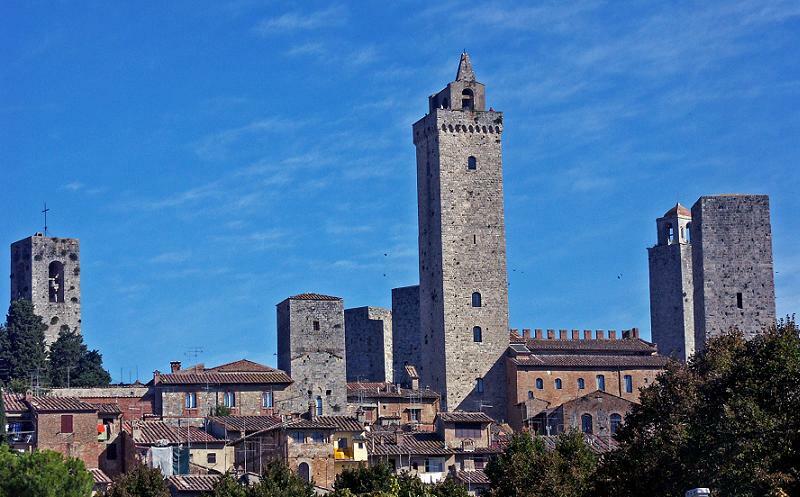 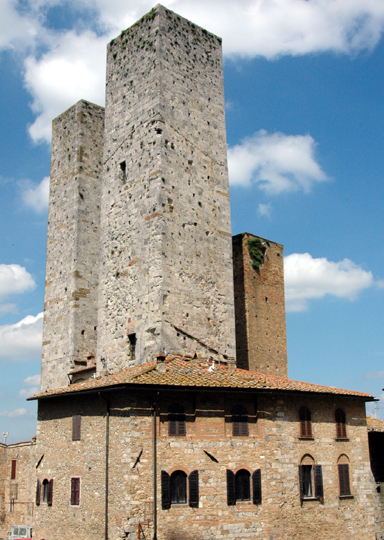 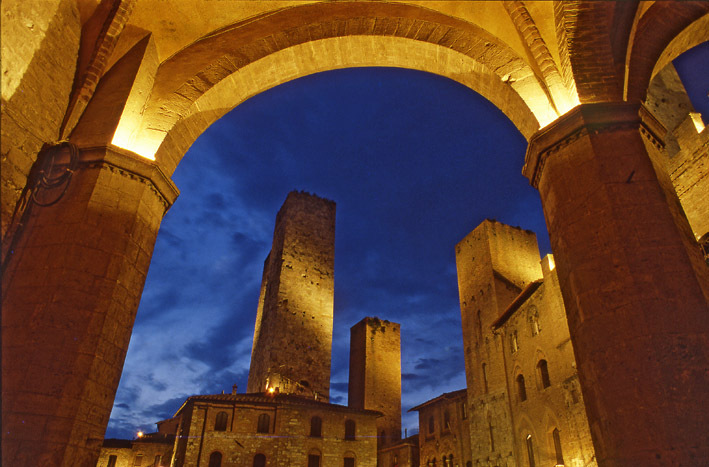 The "Historic Centre of San Gimignano", is a UNESCO World Heritage Sites.